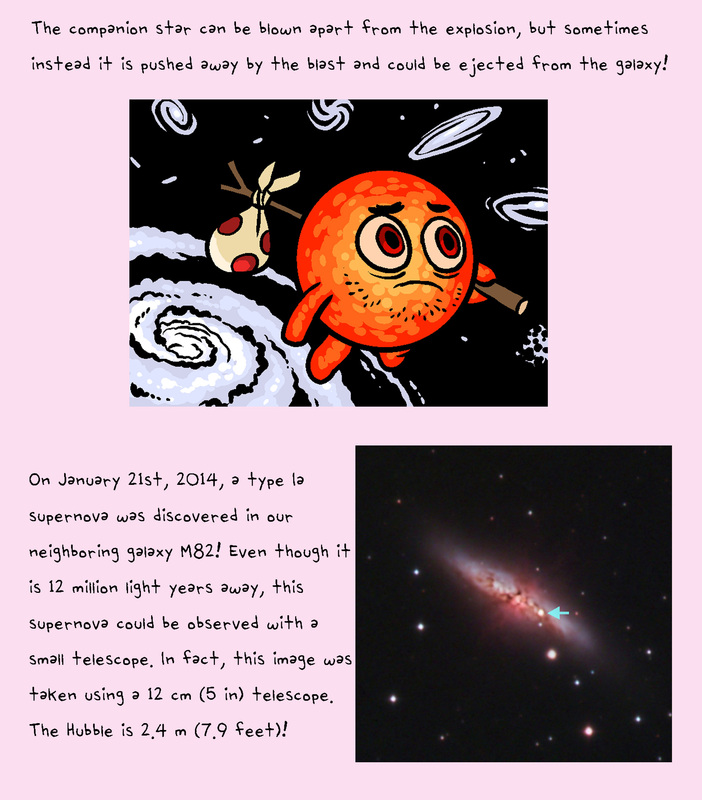 Many of you may have heard about a supernova in the galaxy M82 that was observed last month (and is still being observed). 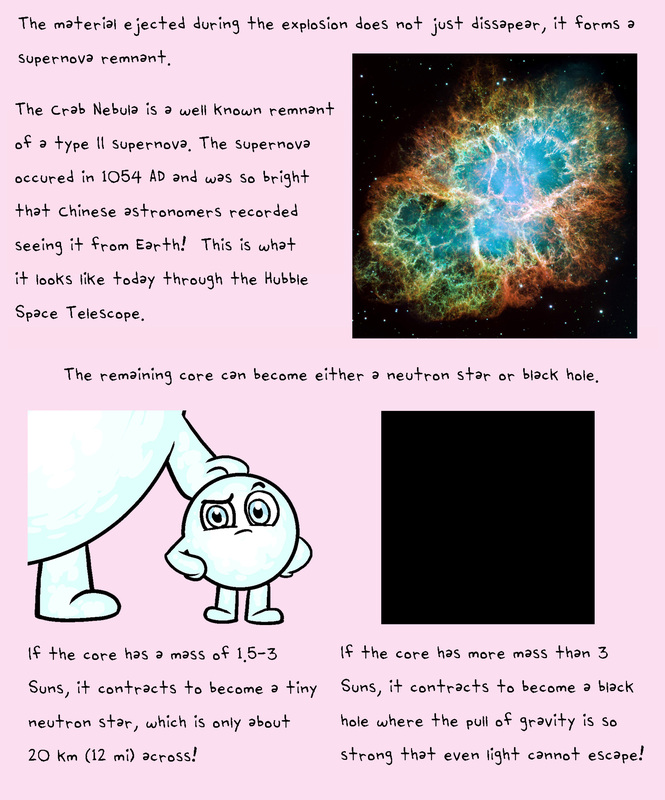 Supernovae (super-no-vee) are often regarded as the death of stars, but there are different types of supernovae. The supernova in M82 is a type Ia supernova, which actually involves an already dead star – not a dead star that has already gone through supernova, but a star that died in a different way. 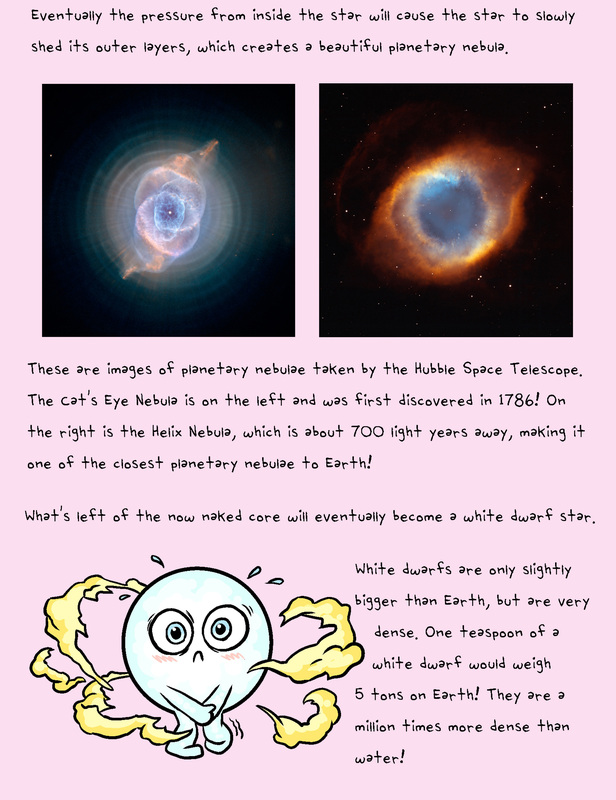 It can be confusing, so I thought I would put together a quick explanation of the lifetime of stars and how different stars die! 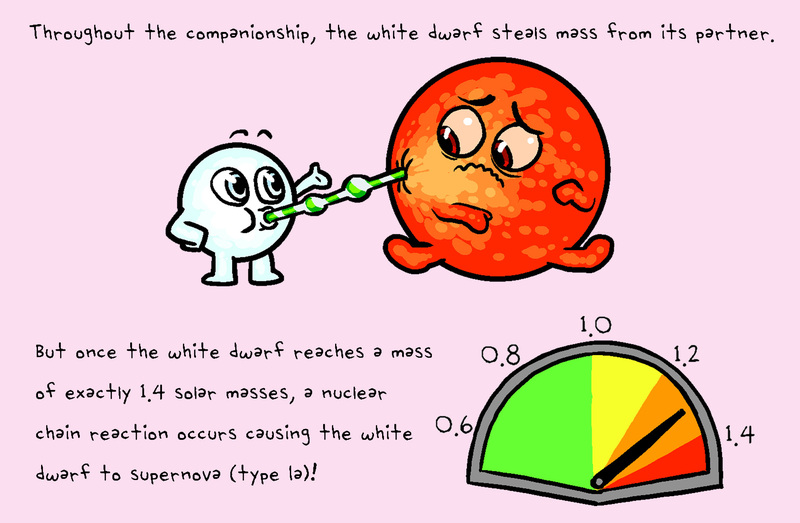 Stars are very different – they don’t all have the same mass or temperature. 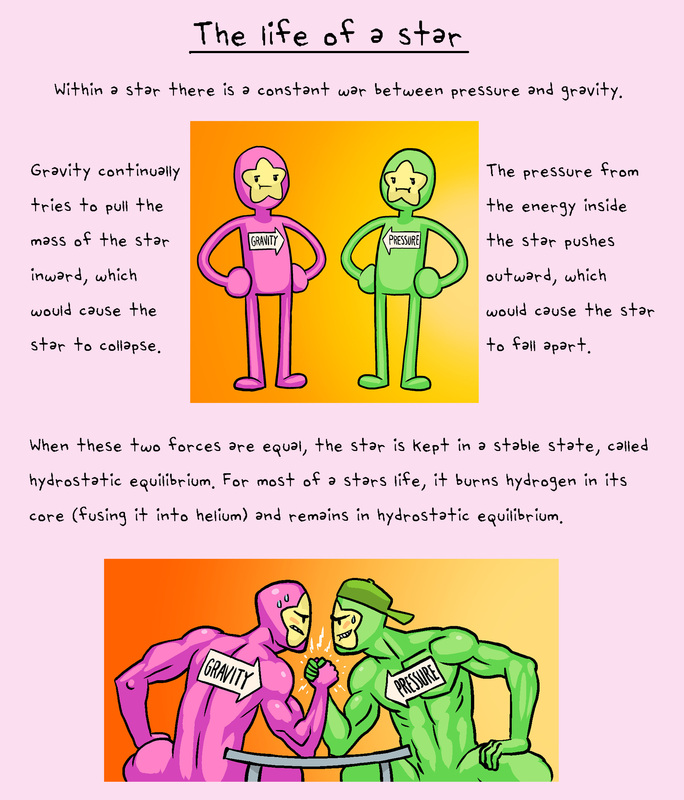 But for a large portion of their lives, all stars are all held together by the same mechanisms! At some point everything must come to an end. 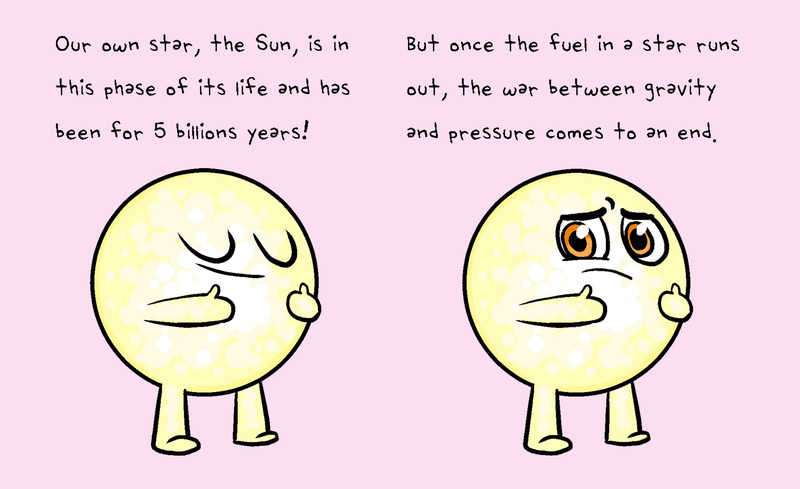 The Sun will die, but it won’t supernova – it will die in another way. 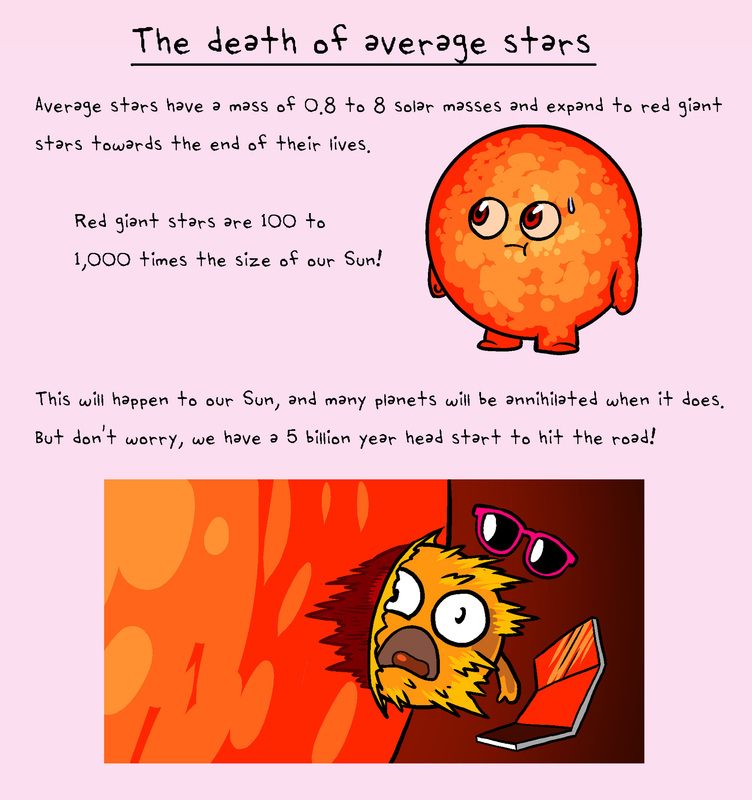 In order to talk about the death of stars, we need to group them into two categories. Now, stars can be grouped into many different categories based on age, temperature, composition, and so on. 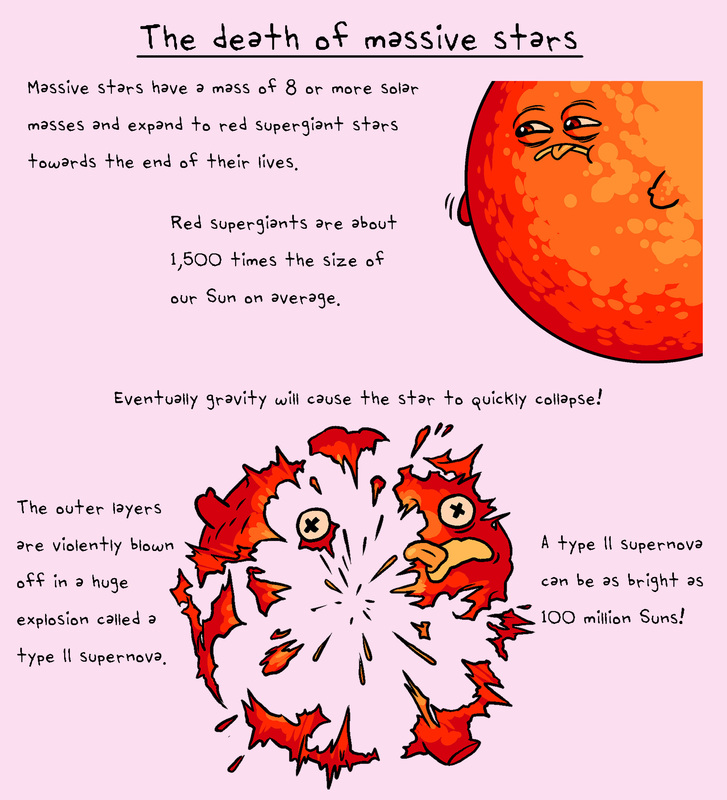 But when we are talking about how stars will die, the most important factor is their mass. 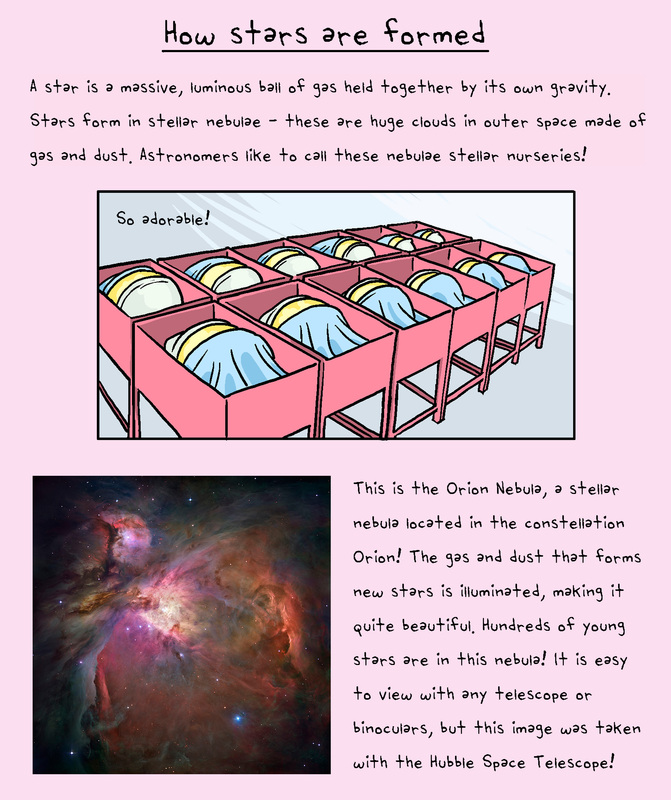 So, first I will talk about stars with an average mass (like our Sun), then stars with a high mass! 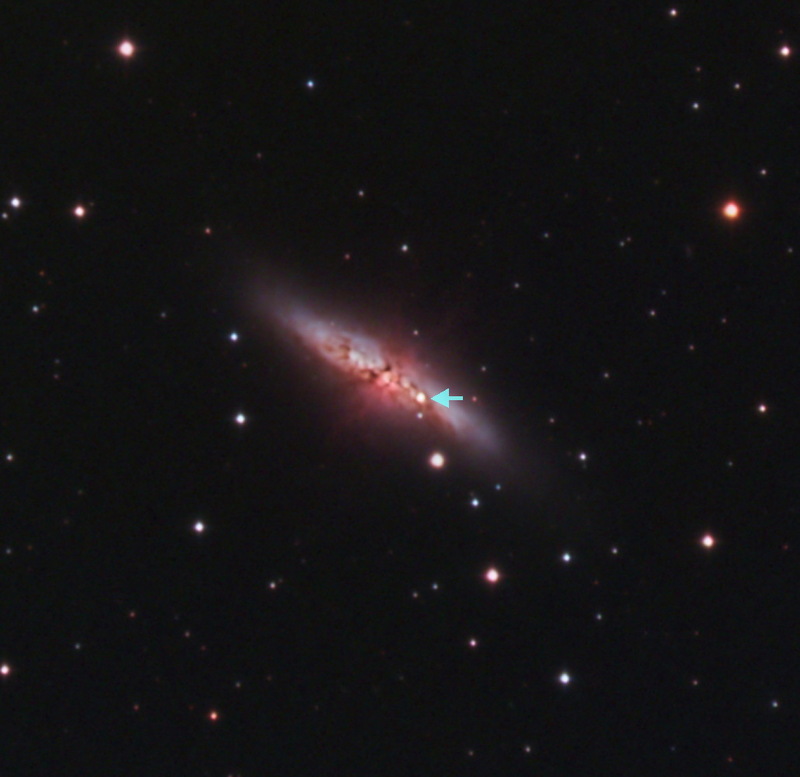 M82 supernova photo taken by Daniel Meek! Astronomers have observed quite a few of these supernovae. 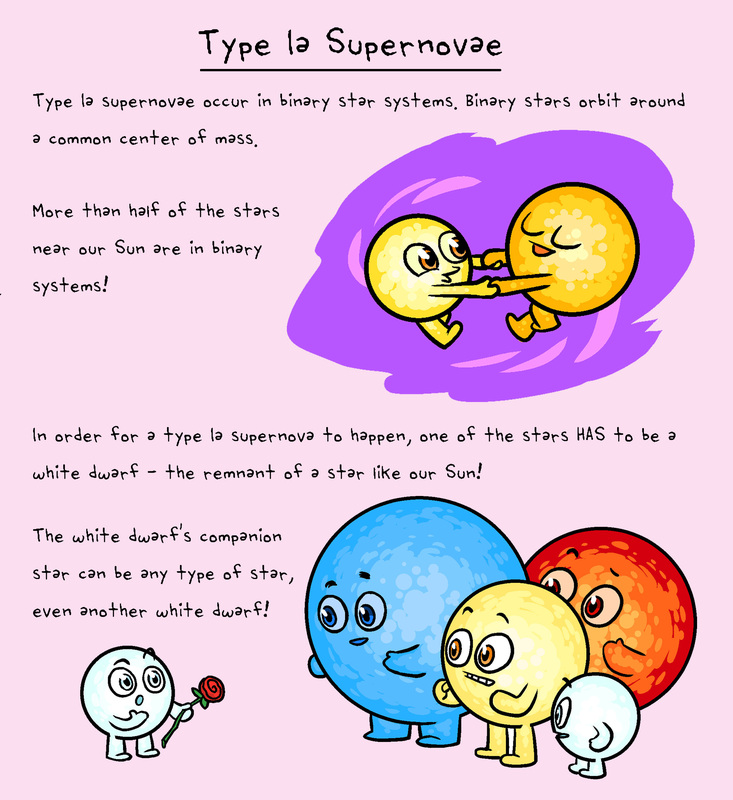 We like to refer to them as “standard candles.” This is because every type Ia supernova occurs at the same exact mass therefore they all have the same exact brightness. Astronomers can observe these supernovae in galaxies far away, measure the apparent* brightness and compare that to the expected brightness for a type Ia supernova. This difference in brightness can help determine the distance to the galaxy! It is pretty amazing. We know that the galaxy M82 is about 12 million light years away. 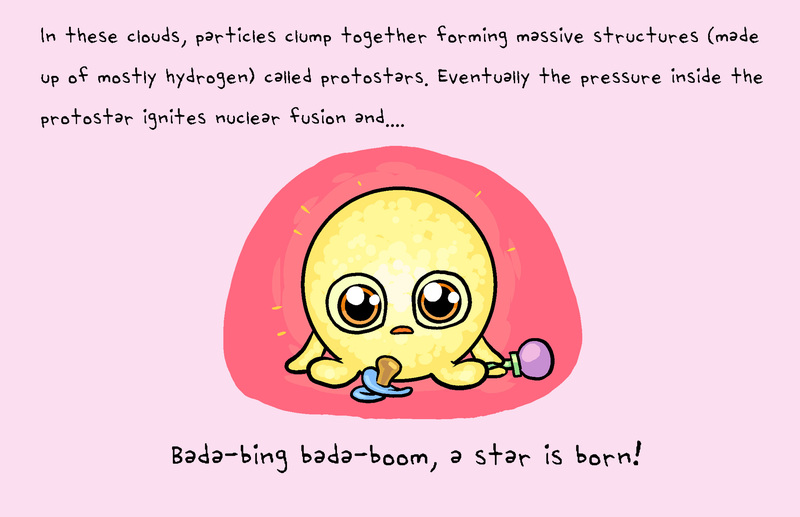 That means that the light from the supernova explosion took 12 million years to reach us! When the supernova actually occurred, there were no humans on Earth. In fact, the Mastodon was still roaming around at the time! For your convenience, I condensed this post into a series of five images on my tumblr for easy sharing! *Apparent brightness is the brightness of an object measured from Earth. The apparent brightness of an object, like a star, is lower the further away it is.